Today is the day where you will discover the final 5 simple ways to overcome being Homemaking Challenged. Make sure you check out part 1 & part 2 for the 10 reasons you are Homemaking Challenged, and part 3 for the first five simple ways to overcome. It is simple. You must create a plan of attack, and FOLLOW THROUGH. Know that the 2nd Tuesday of the month you are responsible for snacks at school. Put a reminder on your phone the day you go shopping and then the night before to prep it. Two simple things that take less than 20 seconds that will save you a frantic headache in the end, but only if you take those few moments and plan ahead. This is hard, but don't let your past failures have too big of an impact on the now. You have grown, and (hopefully) learned from the last time, and can make adjustments. So what if last time you spent 10 hours cleaning your home from top to bottom to only have it seemingly destroyed by your family in less than half that time. Guess what, surface messes are quick and easy to clean, even if they appear overwhelming. This time is different, it is a fresh start. Sometimes we simply don't know what we want and WHY we want it. When you have a purpose, it can help drive you, and give you a reason to go for it, even when you don't feel like it sometimes. Honestly, give yourself grace. Baby waking up in the middle of the night? You are exhausted, don't stay up late, wake up early and try to get everything done during nap time. You will just make it worse. Sleep when you can, go to bed early and drink tons of water. You may need to make some adjustments nutritionally, and schedule wise, but there are ways to fight the sleepiness. 10) Just do it - overcoming laziness. It is so hard sometimes to fight this. Honestly I mean, who wouldn't want to simply read, or relax watching a movie? Here is the deal, you need some down time but you also need to get things done. My favorite trick is to set a timer. Say 20-30 minutes, and work as hard and fast as I can for those 20 minutes. Then I set a timer for the same amount of time and read/watch a show. Small increments work well. I also like a challenge, so sometimes I set a timer and see if I can clean "xyz" before it goes off. Sometimes, you just have to get off your bum, and get it done. I hope that you have gained some insight throughout this series (part 1, part 2, part 3 and part 4) as to why you may be Homemaking Challenged, and need some help in this area, as well as some insights that will help you on your journey as a Homemaker. I had a realization this week. I think it is appropriate to share today, as it is Mother’s Day. First, I have a confession. I have been feeling exhausted and overwhelmed lately. I have been firing on all cylinders, and I have been very task oriented lately. I have learned that when I am too task oriented, I have a tendency to hyper focus, and get cranky when anything stops me, or distracts me from completing my tasks. Even my precious children. I just need a break from them, if I just had two hours away to get all this done, I would feel so much better. Then they wouldn’t be distractions, and I could finish faster and relax for a bit to recharge... Or so I thought. Yet, when I am away from my children, my heart aches for them, and it is just as every bit distracting. I have it backwards. I should not be so task oriented, because my kids are not a distraction. My kids need me more than my tasks. It is more important for me to read another story, or go play in the backyard with them, than reply to a work email, or to blog. It is more important to push them on the swings or watch them play than to try and do practically anything else. I am not saying let everyone starve while you choose to not make dinner, I am saying find other things that you don’t need to do while you are with your kids, and truly be WITH your kids. Put away your phone, unplug the TV, close the computer & tablets, and fully invest some more time with your kids. Away from the distractions of the rest of life. Forget your to-do list for an hour. I mean it, forget that it even exists. Give your children a full hour or two of undivided attention. Fully enjoy and embrace motherhood. Sure, after that time, you may be tired, and more overwhelmed by the less time you have to accomplish your todo list. However, your heart will be full, your babies will know how much you love them, and you will have the sweet reminder of what an amazing blessing it is to be called “Mom”. If you are in the place of feeling like all you need is a break today, sweet mother, use the fact that it is Mother’s Day to have someone else do your “todo” list and fully enjoy your children. If they need something, have someone else meet that need, and just spend some time, loving on your sweet babies, like only you can. So you are Challenged in the area of Homemaking? Have no fear, challenges are just opportunities for us to grow and overcome. Here are 5 of 10 things that you can become less Homemaking Challenged. 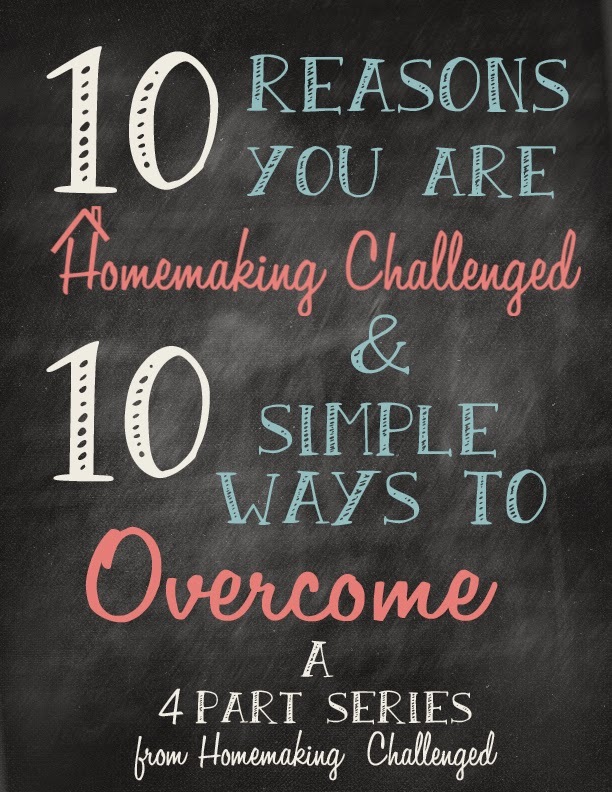 If you missed the 10 Reasons you might be Homemaking Challenged, be sure to check out part 1 and part 2 of this series first! 1) Get creative - overcoming a "Lack of Funds"
Getting creative is AWESOME. 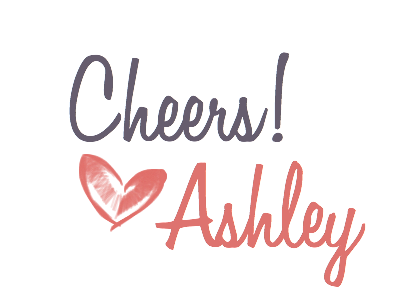 I have been working on a dinning room makeover for 5 months now. Sure sometimes the results don't come as quickly, but don't let that deter you! Eventually things will come together. It can be fun to get creative, I mean you can even find 30 different cool ways to make toilet paper roll wall art here. With the invention of Pinterest, it is all to easy to find creative home solutions for free or cheap. 2) Plug in - overcoming a "Lack of Knowledge"
There are so many easy and amazing "how to" guides out there, that it is so easy to quickly and accurately gain knowledge on a topic that you don't know anything about. I'm not saying blindly trust the almighty google with how to get a stain out of your grandma's lace doily. However, if you see the same ideas over and over again, it typically means they work. There are so many great books, blogs, and other resources out there that if you are looking for an answer, chances are you can find one. 3) Make Good Choices - overcoming "lack of management"
Honestly, this seems too simple, yet it is often overlooked. Sometimes to get it done, you have to do it yourself, and other times you can easily delegate something to someone else. You have to make the smart choice and decide which one is the most effective. If I had the funds, I can tell you right now, I would weekly delegate cleaning to someone. Since that isn't in our budget, we have to split the cleaning. I have to choose jobs for everyone that they can do, and know they are going to do them to their ability, and not always my standards. I have to choose which tasks I'm OK with that. 4) Find YOUR groove - overcoming a "lack of routine"
Some people paper check lists work, others post-its everywhere, some to the computer/ipad/phone list, others don't have a list. Here is the deal. Having a routine at some point during the day, when you can get some home tasks accomplished makes a HUGE difference. It is really all about what works for YOU. You a morning person? Sweet! Get up a little early and every morning pick a task to do in 15 minutes. Stay home and the kids have naps? Perfect! Do all the dinner prep while they are sleeping so you can toss it in the oven and be done with it come eating time. Find little things that you can build into your day regularly that will help you get things done. Honestly there are some awesome charts and systems out there. Not one has worked for me. Why? I can't do it regularly. See routines only work if you work them. You have to do it daily, build small habits into your day that will make your home life easier, and in a few months, you will notice a big difference. 5) Make time - overcoming a "lack of time"
Ok, I know, you can't actually create time out of thin air. But you CAN manage your time better to help you find some more of it. Prioritizing, stoping time wasters are two big ones. Somethings can be multi-tasked such as laundry, but typically focusing on one task at a time will help you get things done more effectively. You can read some other posts I wrote about time management here. Come back tomorrow for 5 more simple ways to overcome the areas where you are Homemaking Challenged. I cannot express how many times this trips me up. You would think I would learn and prepare better, but I don't. For example, we do a weekly game night at our home and I always make a dessert. You would think that I have it down by now, but half the time hubby is running to the store for an ingredient I was "sure" we had and we are scrambling to make our home "company ready". It is stressful, and can be frustrating. If I would actually plan in advance, our home would be "company ready" when I left the house that morning and dessert would be already completed or at least I would know what I was making and have everything ready to go. It is so discouraging when you get in a rut, and know that no matter what steps you take, it won't do anything to fix the problem. So why bother even trying. You mentally set yourself up for failure before you even start. It is so easy when you have kids to just let things go, because you will pick up after the kids and then turn around and it will be a mess again. Or you will pour hours into a project only to have it fail and not live up to your expectations. When you picture your past failures, it is challenging to try again. It is impossible to make something great if you don't have a plan or path to take to get there. What is your plan for your home? What do you want to achieve. If you don't know, then one of your challenges may be a lack of direction. Middle of the night feedings, late nights, early mornings. All of these things can add up to feeling exhausted. When you are run down, and tired doing anything is difficult. Doing homemaking tasks well, near impossible. There are those times when I'd rather sit or lounge on the couch and watch netflix or amazon prime than do the dishes. Sometimes, it is simple laziness that is our biggest challenge to overcome. So there are my 10 simple reasons why you might be Homemaking Challenged. Next in this series, I will share 10 simple ways to overcome these challenges so that you can be less Homemaking Challenged!